Firewall rules control Internet network traffic into VDC, via 'Local with Internet Gateway' networks. The rules can be set for each individual port of a network. Every VM may be a member of up to 7 networks (that is, a VM can have a maximum of 7 virtual NICs). Take care that you have a secure root password set for your VM before you activate any public Internet network connection. 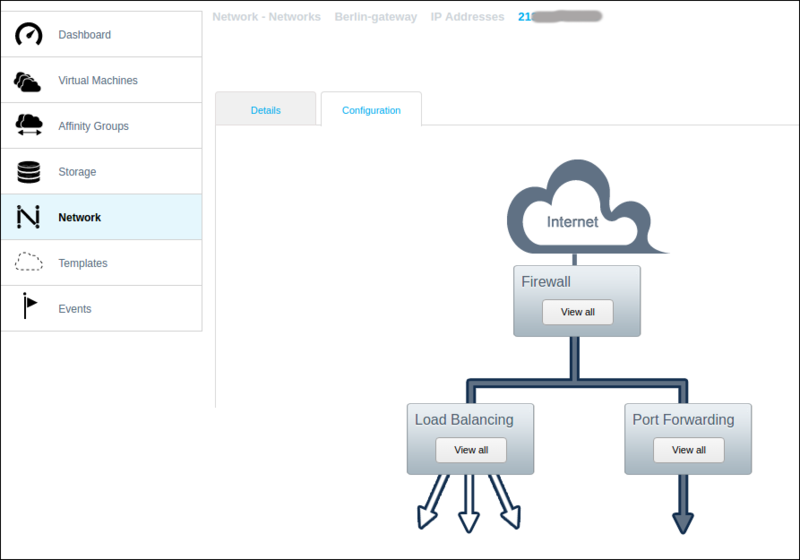 a load balancing rule for intensive applications (in terms of number of simultaneous users and/or computational load per user) which allows you to automatically distribute the inbound traffic through a network port across a number of VMs (see How to manage load balancing rules for your VDC). To make an outbound connection for your VM to access the public Internet, you need to configure the egress rules for a 'Local with Internet Gateway' network. See How to allow your VM to access the public Internet network. The VDC firewall is based on VDC's native virtual router. If you wish instead to deploy a dedicated virtual machine running a firewall or load balancer application, then you should use a Public Direct Connect network which offers direct connection to the Internet without an additional firewall. ICMP type and ICMP code (for ICMP). The only action for a rule is Delete firewall rule . You cannot edit the content of the rule, if a change is required you need to delete the rule and Add a new one. Protocol: TCP (default), UDP or ICMP. You can restrict access to particular Internet IP addresses by setting the Source CIDR input — see below. There are security vulnerabilities associated with ping access so it is recommended to enable the firewall access only when it is needed for a specific reason. Note: ping messages within the Interoute fibre backbone private network — that is, via Private Direct Connect networks — are not restricted by any firewalls. Firewall controls can be turned on for virtual machines within the operating system; for example, Ubuntu and Centos have firewall controls built-in, which are not turned on for the standard VDC machine templates.